I always wait in anticipation for all new Nars collections. Fall 2012 was no exception. 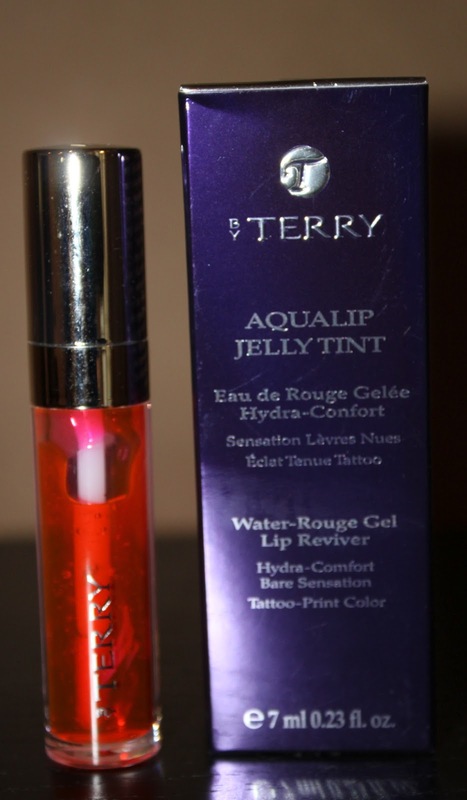 I chose High Society,Vent Glacé and Outlaw (will review soon) from the collection. 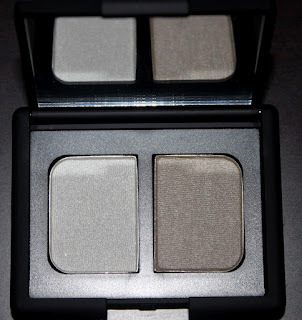 Nars eyeshadows are highly pigmented and always right on trend and even trail-blazing the trend. High Society is their trio for the fall season and is limited. What I usually like about the trio's, is that they combine a highlight, a deep and all-over colour. This palette has a pearlescent lavenderon the left side. This is my favourite shadowin the trio. It is pretty and the texture smooth and easy to blend. The green reads brighter in the pan. On application it is matte as described, but is quite muted. The purple colour which is described as a irridescent amethyst, look flatter and shows no gleam of any kind. These two colours feel hard to blend. The green and purple seem to have the same muted intensity, so I find them tricky to wear together as they have no clear distinction and seem to meld together. 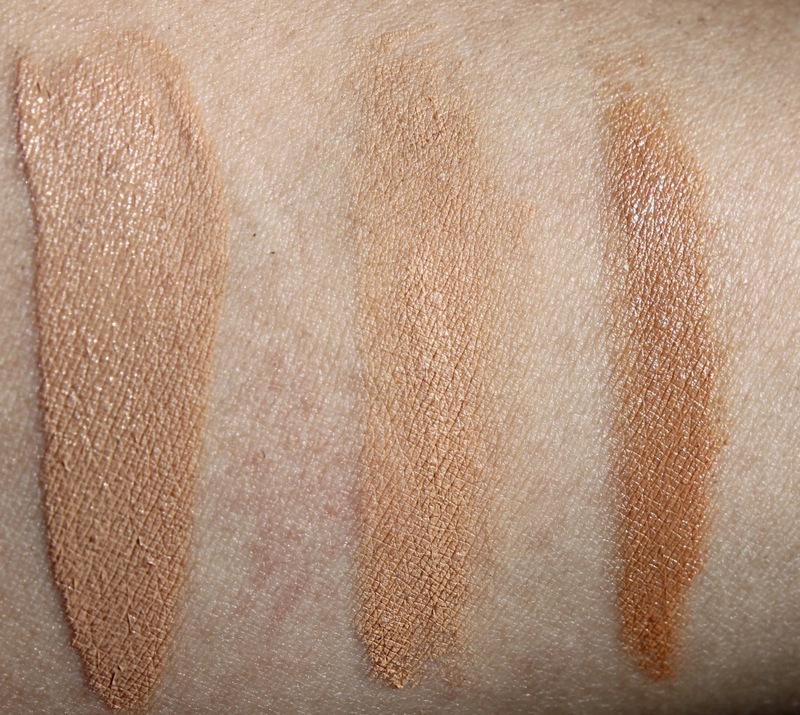 I think worn alone or with other palettes they will look better. Vente Glacé is a great accent duo and is also limited. These two colours are quite light and cool toned. The left colour is a frosted silver. 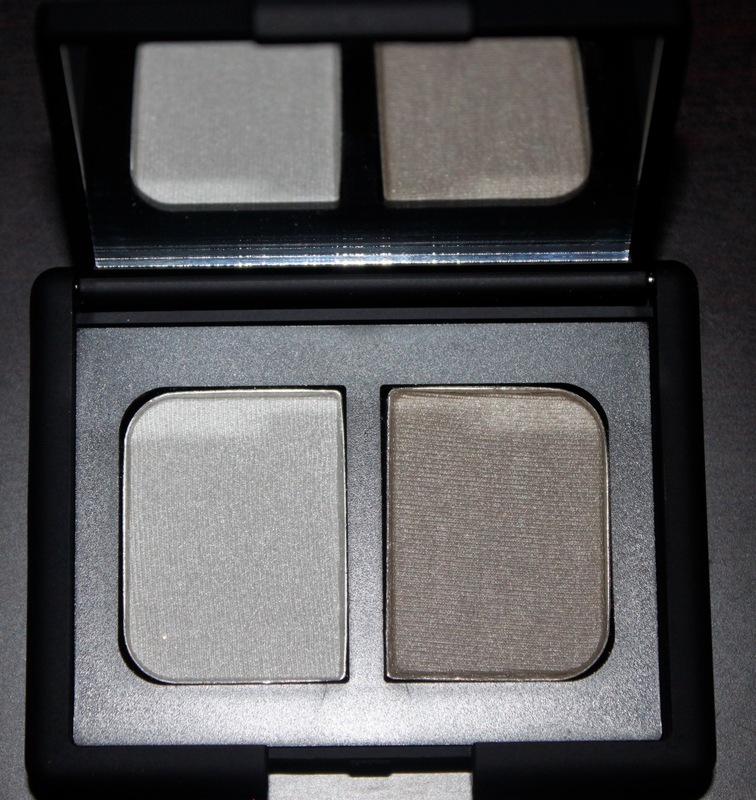 It blends well and is good paired with a darker shade, perhaps Nars Grand Palais duo. The colour on the right is described as a 'silver smoke'. It reads like an olive silver. 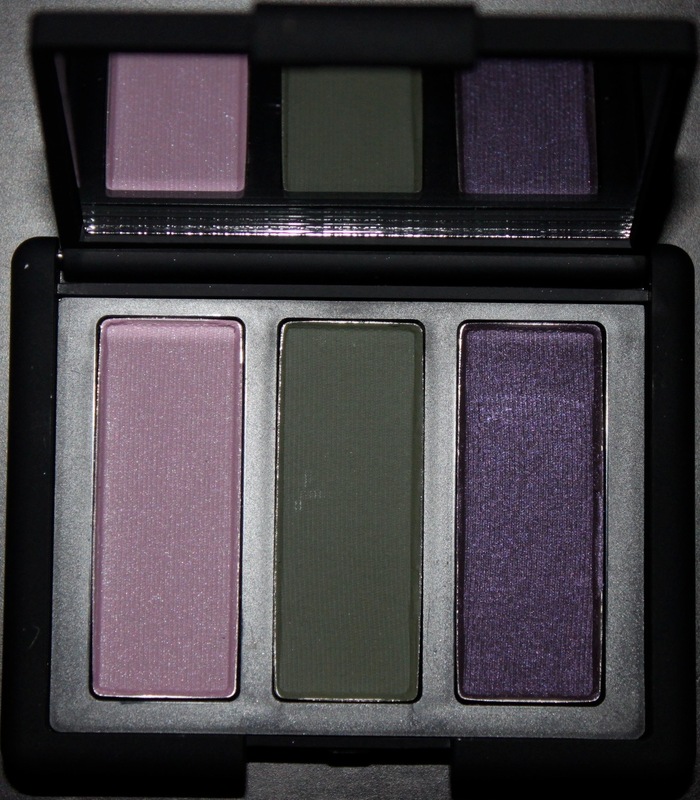 This shade can be worn alone over the entire lid or paired with the green from High Society. Both these palette invoke the first chill of Autumn. Some of these shadows, I have found to not to be as blendable as usual and would have like the colour to have been true to those in the pan. These colours swatch better on the arm. when blending on the eye they loose their intensity. Mabye used wet or packed on they will have a stronger look. Which part of the Nars fall 2012 collection did you indulge in? I was happily browsing the internet when I read about the launch of Giorgio Armani Maestro Fusion Makeup. Suddenly the 'blogosphere' was alight with reviews of the new breakthrough "foundation". Now started my mission to procure said "foundation". Nothing would stop me until I had this wunder product in my grubby little paws. This was no mean feat, but thanks to the wonders of the internet, a phone call to the Giorgio Armani counter at Selfridges (who did a telephonic colour match), a swatch session with The Beauty Professor (who has swatched all the colours), a speedy courier service, two weeks later I had Maestro Fusion makeup ready for application ( the lengths I go to....). The effort was totally worthwhile! The product is housed in a glass bottle with a dropper top. The product itself is a light, slick liquid almost like water. I drop a few drops into the palm of my hand and then smooth the product onto my face from the centre outwards with my fingers (I have used my Real techniques buffing brush but prefer fingers). This really is a unique product and feels like no other foundation or tinted moisturizer I have ever used. This product goes on like skin. What I mean by this, is that the product is almost imperceptible on your skin. It is your skin but better. I love my other foundation favourites, but this really seems like a new category of foundation - 'a complexion perfection' as described by Linda Cantello, International Make-up Artist for Giorgio Armani. I have tried a number of primers as I typically use a primer as I have oily skin. 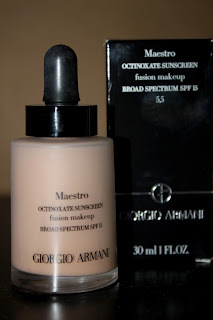 The best suited primer was actually the Giorgio Armani Fluid Master Primer which has a silicone texture and a lot of slip, and is usually my least favourite. Next in line was Nars Pro-Prime which worked quite well, by the end of a long day there was a glow. I have also tried Smashbox Photo finish hydrating primer, which is a good primer but did not work well under Maestro. I still am going to try my other favourite primers - Hyaluronic Face Glow by By Terry and Chantecaille Anti-glycation primer. It also wears well with no primer. Since I am oily I have powdered after finishing my makeup, but do not need to touch up as usual later in the morning. I am still trying various combinations and I think it will be personal preference for everyone on primers and powders. Maestro Fusion makeup give a soft matte finish. It is hard to describe as you look natural, but all imperfections seem airbrushed away. I have managed to build this product for more coverage, yet the look is still invisible. Due to the volatile oils that evaporate throughout the day, my makeup remained fresh. I have had no reaction to the oils or alcohol listed in the ingredients. My skin is oily and can break out if a product is too rich.This is described as an ultra-fine pigment oil suited to all skin types. I can vouch for those with oily skins. 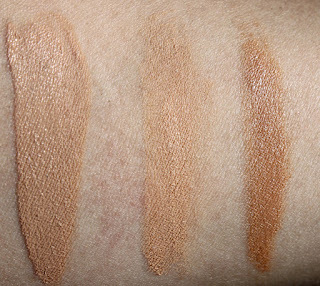 It has a SPF of 15 which is a must in any foundation these days. 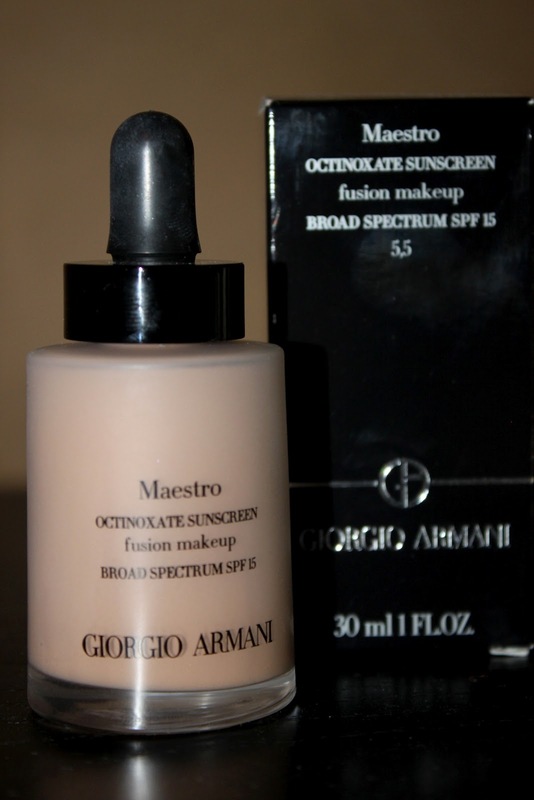 I love to wear this with my Giorgio Armani Blushing Fabric in 1 for a lovely flushed look. Giorgio Armani have always looked ahead and created new formula's and technologies to keep us ladies looking our best. 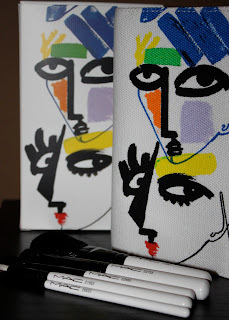 Another one of my favourites is their Face Fabric (I am #3). Maestro Fusion comes in 12 colours in the US and 9 worldwide. I am 5.5 which is a perfect match. This has both yellow and pink undertones. I am looking to get their new Maestro Concealer and am looking forward to their new Lip Maestro Color Zero and Lip Maestro Intense Velvet out in November. Have you tried the new Giorgio Armani Maestro Fusion makeup? 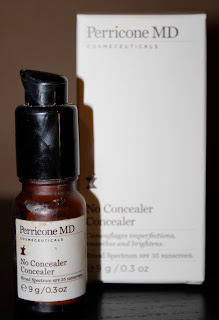 Ok, so I was planning my No Concealer Concealer review, when I received a Perricone MD email discussing Dr Perricone upcoming 15 Year Anniversary. 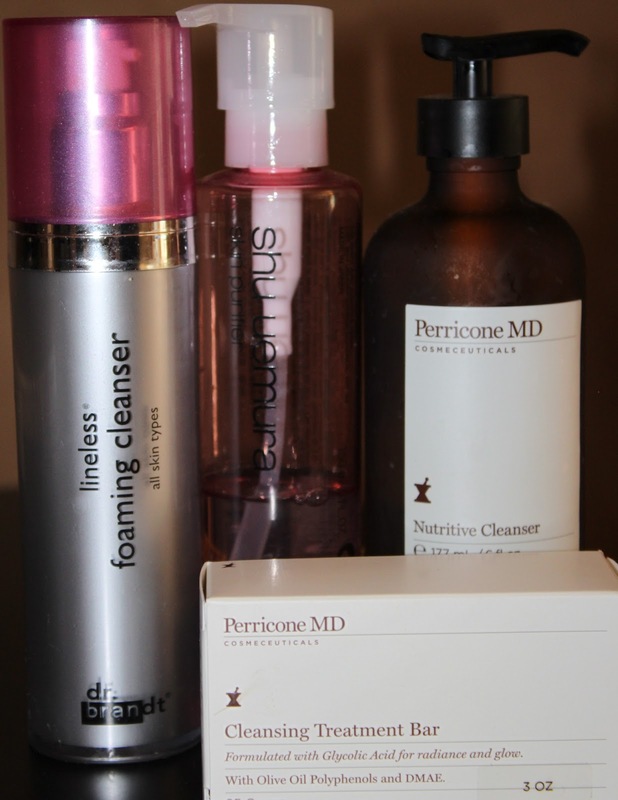 So, firstly I would like to say thank you to Dr Perricone for 15 years of continual innovation and for bringing us such effective products that have truly changed my skin. His dedication to his field of expertise really came evident to me when watching a presentation DVD of Dr Perricone giving a informative lecture on his quest to learn about aging and how to combat it (The DVD came in a gift set I had purchased). This brings me to another of Dr Perricone's wonderful products that I have been using for awhile now - No Concealer Concealer. No Concealer Concealer is a tinted under eye concealer with both anti-aging and protective qualities. This combination of treatment and make-up really makes it a time-saving product. It is a peach-toned tint which helps counteract dark circles. 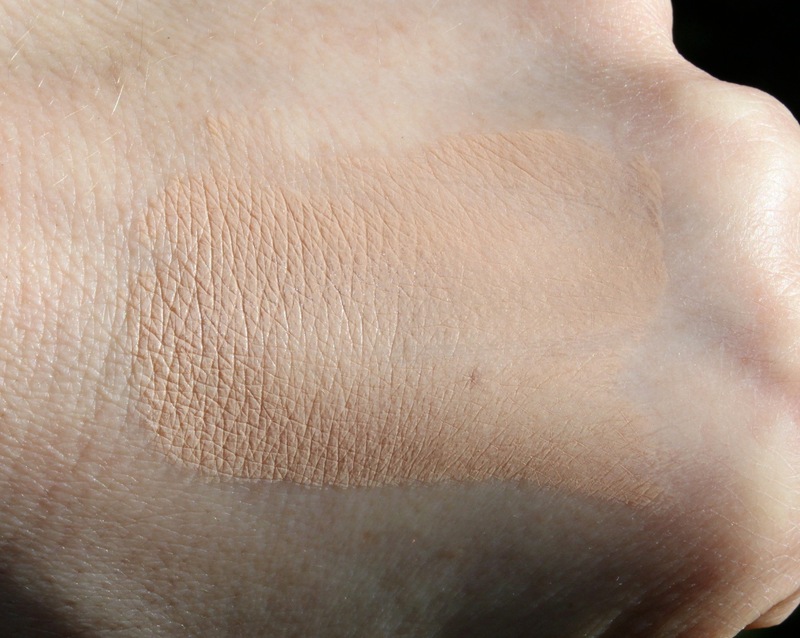 It is meant for all skin tones, but those on the far end of the spectrum might struggle with the colour - but it is perfect for me (light to medium skin with both yellow/pink undertones). I use it in the morning after my Face Finishing Moisturizer. I take a really small pea size as a little goes a long way. I use my ring finger or my Real Techniques deluxe crease brush for seamless blending. This formula has neuropeptides which works on my fine lines and helps with elasticity. I do feel my fine lines have improved with use of this product. It also has a mineral based SPF of 35! 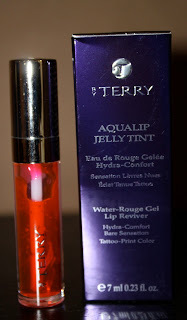 This makes it great for everyday use and even better for the beach for that barely there makeup look. It also contains Vitamin C Ester that is a well documented anti-oxidant with good brightening properties. Lastly, it has micro-circulatory agents (007- not sure) to help boost blood circulation to the eye area which helps overtime to erase dark circles, which I do suffer from, so this has been a great help. It goes on smooth and my under eye area does look fresher. It wears well and does not settle into my fine lines. I have enjoyed using this product. Let me be the "first" to say Happy Anniversary Dr Perricone, I cannot wait for the next 15! No Concealer Concealer was sent to me for consumer review (before Makeup Remastered was in existence). This review is 100% my own opinion. I had a voucher from MAC, so I chose a cremesheen from their recent Cremesheen and Pearl collection. The colour I chose is perfect for summer as it is bright and fun. Pink Pearl Pop is a sheer yet creamy candy pink with a soft sparkle. The cremesheen formula is one of the more comfortable to wear from MAC, but there is a lingering stickiness that I am not too fond of. I am NARS, Burberry and Giorgio Armani lipstick fan. This colour is cheerful, but probably one I will not reach for often. My skin will need to be picture perfect to wear this shade well. I think as our summer wears on and my skin is more tanned it will work better. Strangely, I think if you are fairly pale this will be work well. The lipglosses for this collection are worth a look as they are sparkly and the colours will not read as bright as the lipsticks. I am patiently waiting for The Face and Body collection. It has yet to launch here. I have earmarked a Pro-sculpting cream for my make-up bag. Bring it on! Did any of you buy from the Cremesheen and Pearl Collection?